The Vikings got a huge boost in team morale today, when their star running back returned to practice. Adrian Peterson has been injured since the very beginning of the season this year and the Vikings running game has struggled since then. Peterson is the leader of the team and has been with the Vikings throughout his whole NFL career. 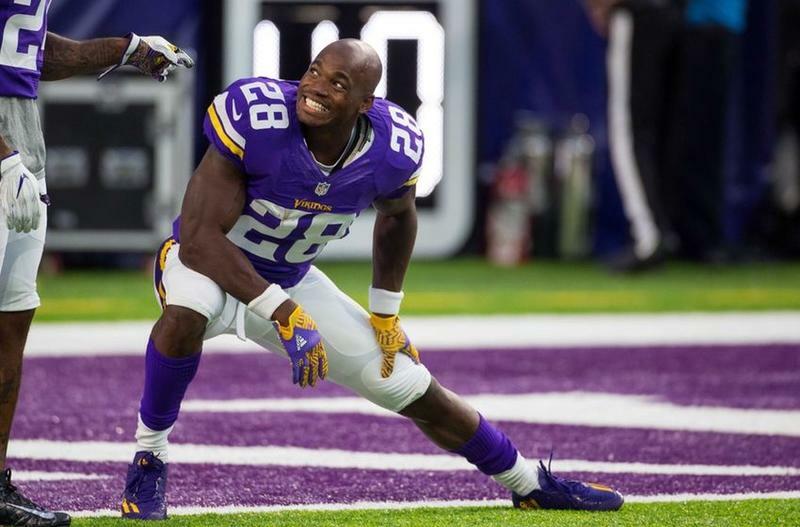 The Vikings know when number 28 in purple is on the field for them, they can beat anyone. So when he got injured in the second game of the season this year, the whole team was devastated. They did not think that Peterson would make it back this season at all, but he surprised everyone when he showed up at practice today. It was a very big day for both Adrian Peterson and the whole Vikings organization. "This week is going to be big for me," Peterson said, via the St. Paul Pioneer Press. "My plan, and my vision, is to be back for the Green Bay game. That's what I'm envisioning." Peterson said he still thinks that the Vikings will make the Super Bowl as they are still in the playoff hunt. "My eyes are still set on being in Houston for the Super Bowl. ... That's been my vision. With us still in the (playoff) hunt, that hasn't changed at all." If the Vikings can get Peterson back on the field, it will be a very good thing for the Vikings. 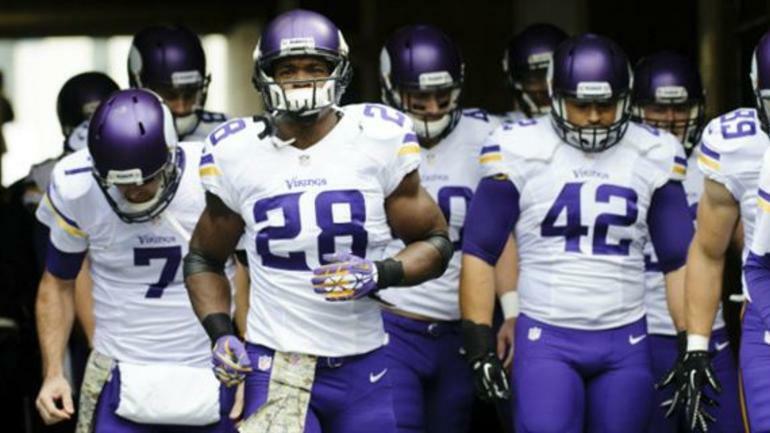 Adrian Peterson tore his meniscus after only being able to play in one game this season. He did not play well in that game either, as he only had 50 yards total rushing. Then he had to see his team have the best start they have had since he had been there. They jumped out to a 5-0 start to the season and were the talk of the NFL. Since then, the Vikings have cooled off immensely and are in the thick of the wild card race in the NFC. The positive thing, looking forward, is that they could have their star running back on the field very soon. The Vikings’ running attack has been one of the worst in the league this season. Not only did the Vikings lose Adrian Peterson, but they have also had a lot of injuries on their offensive line. Peterson's potential return in a must-win game versus the Green Bay Packers in Week 16, could be a huge boost for the Vikings nation. Since the Vikings’ hot start, they have gone 2-6 over the past 8 games and they need help. The Vikings need to win out and will need some help, if they have a shot of making the post season. Today was the first step in the Vikings’ push to make the post season. Peterson is chomping at the bit to get back onto the field and help his teammates anyway he can.